In 1991, a survey entitled “Society and Democracy” was held in Poland, Hungary and Czechoslovakia. At that time, it was of utmost importance to map the attitudes and values of the societies which had emerged from Communism and had enjoyed their first years of democracy. STEM took part on this study. Today, we would like to survey evaluating the ways in which societies meet the challenges of our time. At this time, the importance of resistance of societies has come to the forefront of political agenda. Resistant and resilient societies require empowered citizens. In this context, how can residents act as citizens? What sort of landscape facilitates citizen empowerment? Is there a shared perception of public engagement on one hand, and a consumer based approach on the other and, if so, to what extent? And, provided they are willing to do so, are people more likely to participate at a local level or is it easier for them to commit themselves to a national or a global cause? And how resistant are they to propaganda, radicalisation and extremism? Our survey is launched. We are proud to be supported by Visegrad fund and other donors. 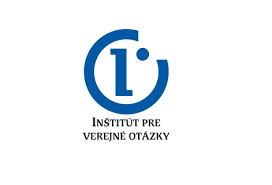 Co-operating institutions: Inštitút pre verejné otázky (IVO, Bratislava), Instytut spraw publicznych (ISP, Warsaw), Political Capital Institute (Budapest). The intention of an international team of experts from Slovakia, Hungary, Poland and the Czech Republic is to map the potential of active citizenship and to examine the motivation of individuals to participate in the democratic process. The concept is based on the assumption that active citizenship is closely related to shared values, social capital, or how people assess their position within a society in terms of their invidivual rights and needs, interacting with fellow citizens, the public sphere and its institutions, civic society, etc. First, on political attitudes and behaviour of citizens (political participation, participation in the political process, membership in political parties, engagement in protest actions or others, satisfaction of the population with political representation, etc). Sedond, on civil society and community activities (membership in associations who are active at local, regional, national, European or global level), and, third, on values ​​(such as freedom, democracy, human and minority rights, cultural diversity, religious tolerance and dialogue, civic coexistence). The research is focused on social cohesion as factor influencing active citizenship, including civic participation. Membership in the European Union had a unique importance for all four countries, in terms of security, geopolitical anchor or values. The opportunity to belong to a community of free and democratic states, linked to the values ​​on which a model of liberal democracy is built, became a motivation during the period of transformation, of institutionalization and consolidation of democracy after the collapse of communist regimes. Citizens of the Visegrad countries, in their overwhelming majority, became actors of integrating Europe providing public support for this ambition. Civil society actors have played an important role throughout the process. Collaborating states where active citizenship embodies a reflex vital to the public sphere and other sectors of society. Initial study on civic participation and its reflection to date. Roundtables with experts and public representatives. Press conference presenting key research.